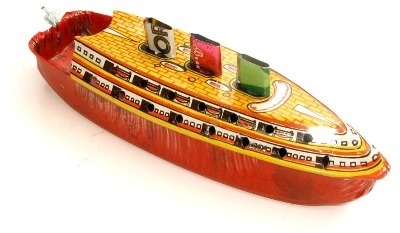 1950's Pop Pop Boat - New - Boxed. 1950's Pop Pop Boat - in as new condition. totally unused. Boxed - also very good condition. Instructions are in English and Greek.